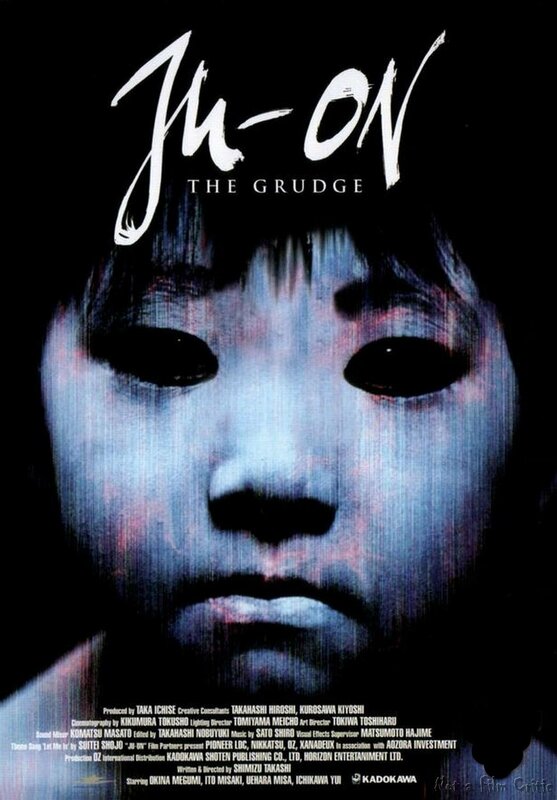 It all started in a house near Nerima (Tokyo) when a man, Takeo Saeki, certain that his wife Kayako is having an affair with another man, murders her, their son Toshio and his kitten in a jealous fit. 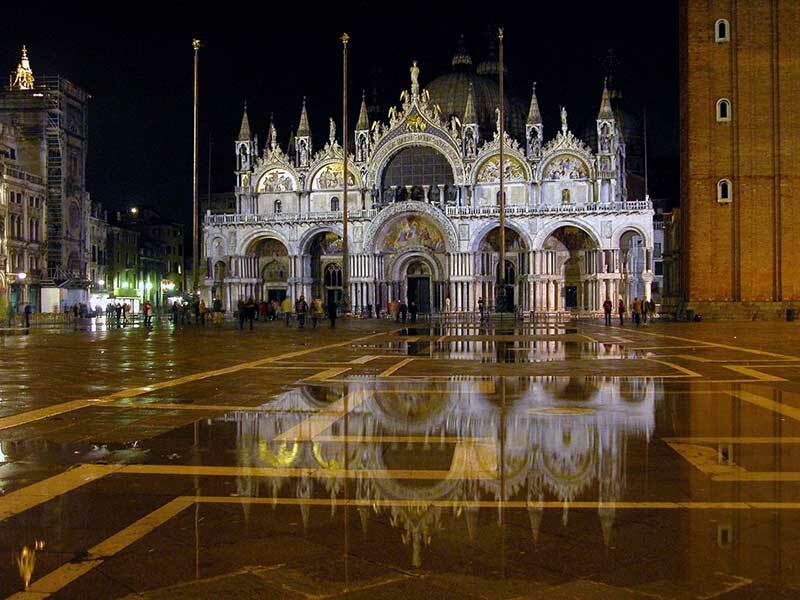 Don’t miss the opportunity to see one of the most amazing masterpieces of Venice in a beautiful night’s atmosphere! St. Mark Basilica is the most important church in Venice, becoming cathedral il 1807. The first building dedicated to St. Mark, commissioned by Giustiniano Partecipazio, was built in 820 A.D. close to Palazzo Ducale in order to host the Saint’s relic which have been stolen, according to the legend, by Alessandria d’Egitto. The ancient church burned during a fire in 976 A.D. 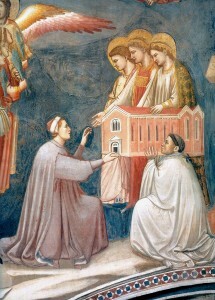 The current basilica is the result of another project of 1063 sponsored by doge Domenico Contarini. The amazing mosaic decoration was almost completed by the end of 12th Century, however the opulent decoration increased during the following years with columns, policrome marbles, friezes, sculpture and golds brought to Venice from the East. 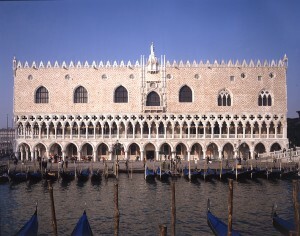 The ancient private chapel of the doge, now known throughout the world, became the symbol of Venetian wealth and power. We will tour the Scrovegni Chapel with the famous cycle of frescoes created by the mastery of Giotto and commissioned by the rich banker Enrico Scrovegni, the Eremitani Church beautiful structure build in the 13th century which hosts the Ovetari Chapel frescoed by Andrea Mantegna and Palazzo Bo Padova University headquarters from 1539 where degree ceremonies take place. This visit is compulsory for students attending the course S1602 Art and Architecture in Renaissance Venice. The trip is sponsored for students enrolled in the above mentioned course. The cost for other students and faculty is 15,70 €. To participate sign the roster on the door of the classroom corridor and bring the due amount to the front office by Wednesday at 4pm. Monday, March 14, Room 9A at 5 p.m.
Set in Rimini in 1930s, the movie depicts an antique borough of Emilia Romagna and its peculiar inhabitants. 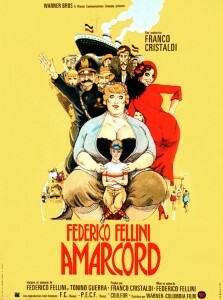 The most autobiographical of Fellini’s productions, it collected countless international prizes, including an Oscar and a David di Donatello. A masterpiece of Gothic architecture, the Doge’s Palace is an impressive structure composed of layers of building elements and ornamentation: from its 14th and 15th century original foundations to the significant Renaissance and opulent Mannerist adjunctions. The structure is made up of three large blocks, incorporating previous constructions. The wing towards the St. Mark’s Basilica is the oldest, rebuilt from 1340 onwards. The wing towards St. Mark’s Square was built in its present form from 1424 onwards while the canal-side wing, housing the Doge’s apartments and many government offices, dates from the Renaissance and was built between 1483 and 1565. Its sumptuous rooms host a large art gallery in which are arranged masterpieces of the most famous Venetian painting like Jacopo and Domenico Tintoretto, Tiziano Vecellio, Paolo Veronese and Jacopo Palma the younger. Tickets: Sponsored by VIU for students enrolled in the above mentioned courses. 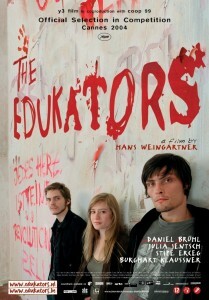 6,50 euro for other students (under 26), 13.00 euro for students over 26 and faculty. To participate please sign the list on the door of the classroom corridor and if required bring the ticket amount to the front office by Wednesday, March 9 at 5pm. 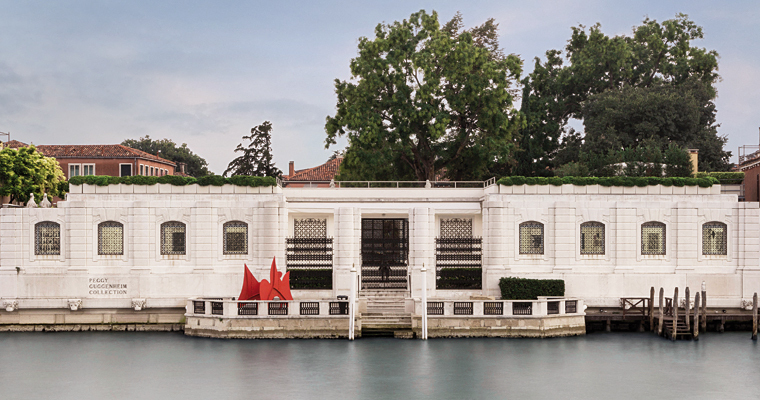 The Peggy Guggenheim museum, with its eclectic and innovative collection, gives you not only the chance to discover masterpieces of Cubism, Futurism and Metaphysical painting but also the possibility to admire them inside an historical building. In fact, a peculiarity of the Foundation is the capability of merging the antiquity of the building with the modernity of the art displayed in a balanced continuum. 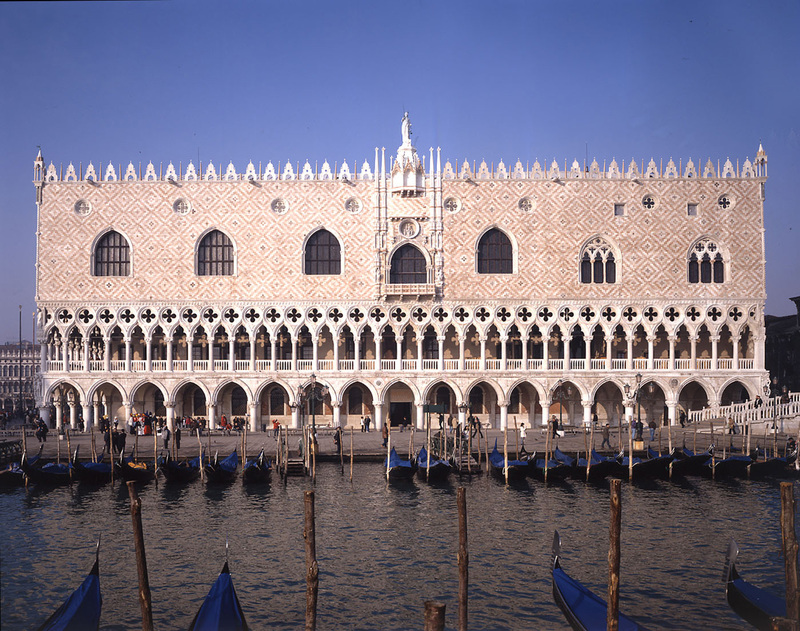 Palazzo Venier dei Leoni’s building project, designed by Lorenzo Boschetti, started in 1748 but was never fully completed. 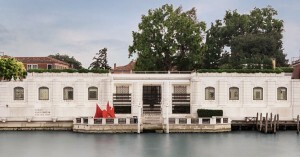 The Collection Founder, Peggy Guggenheim, bought the palace in 1949 and opened it to the public in 1951. The relevance of the collector stands in the absolute foresight she had in collecting contemporary pieces of art from all over the world for over seventy years.